Seventeen-year-old Riley, the only daughter of legendary Demon Trapper Paul Blackthorne, has always dreamed of following in her father's footsteps. The good news is, with human society seriously disrupted by economic upheaval and Lucifer increasing the number of demons in all major cities, Atlanta's local Trappers' Guild needs all the help they can get—even from a girl. When she's not keeping up with her homework or trying to manage her growing crush on fellow apprentice, Simon, Riley's out saving distressed citizens from foul-mouthed little devils—Grade One Hellspawn only, of course, per the strict rules of the Guild. Life's about as normal as can be for the average demon-trapping teen. But then a Grade Five Geo-Fiend crashes Riley's routine assignment at a library, jeopardizing her life and her chosen livelihood. And, as if that wasn't bad enough, sudden tragedy strikes the Trappers' Guild, spinning Riley down a more dangerous path than she ever could have imagined. As her whole world crashes down around her, who can Riley trust with her heart—and her life? 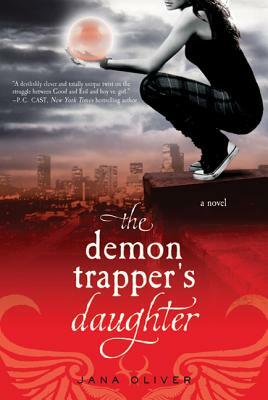 Jana Oliver is the award-winning author of the young adult urban fantasy series Demon Trappers, including The Demon Trapper's Daughter and Soul Thief. She is also the author of the Time Rovers series. She’s happiest when she’s researching outlandish urban legends, wandering around old cemeteries and dreaming up new stories. An Iowa native, she lives in Atlanta, GA.